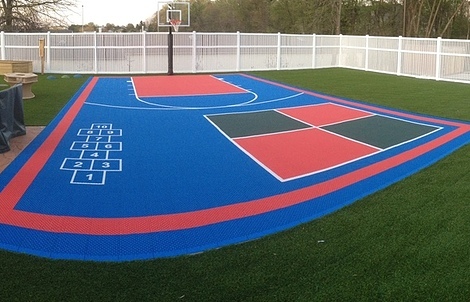 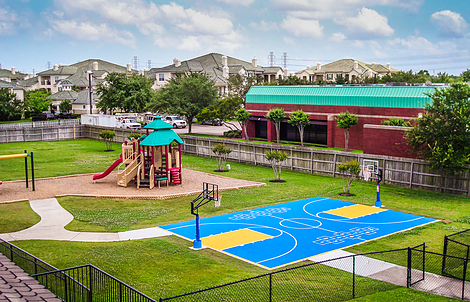 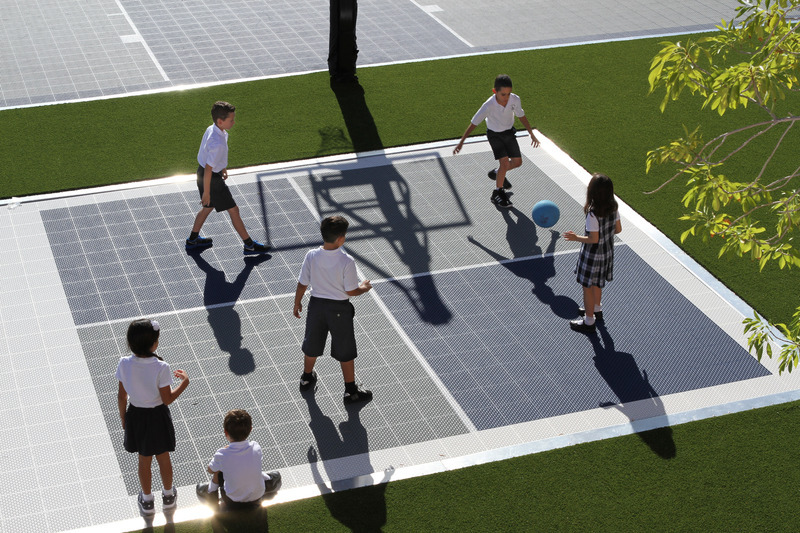 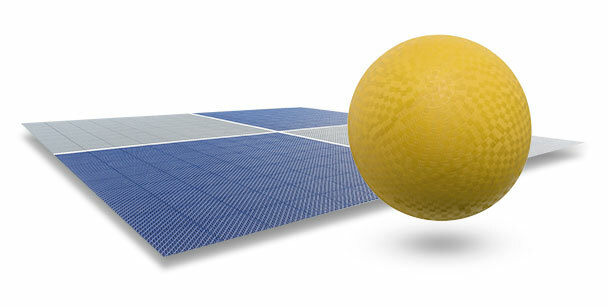 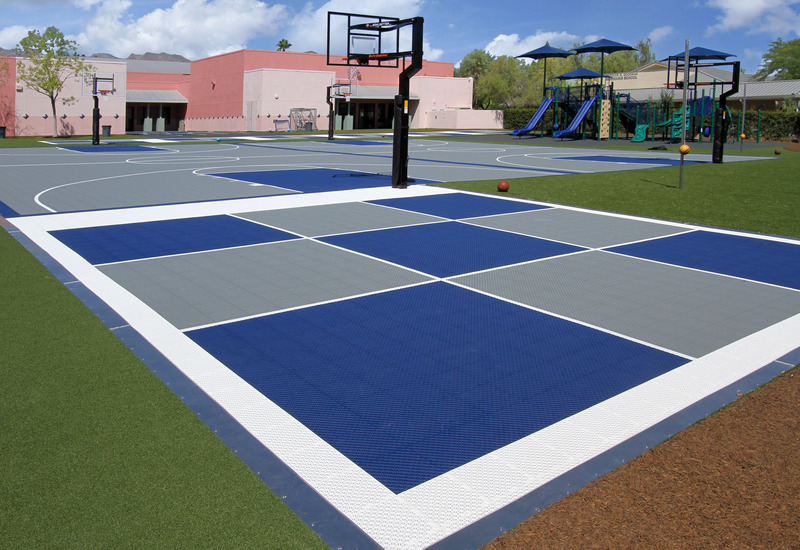 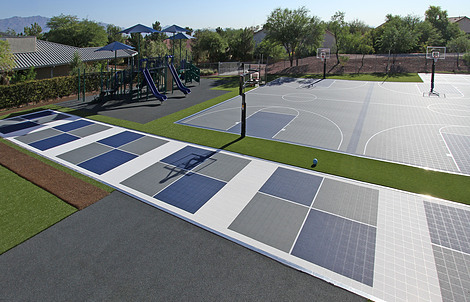 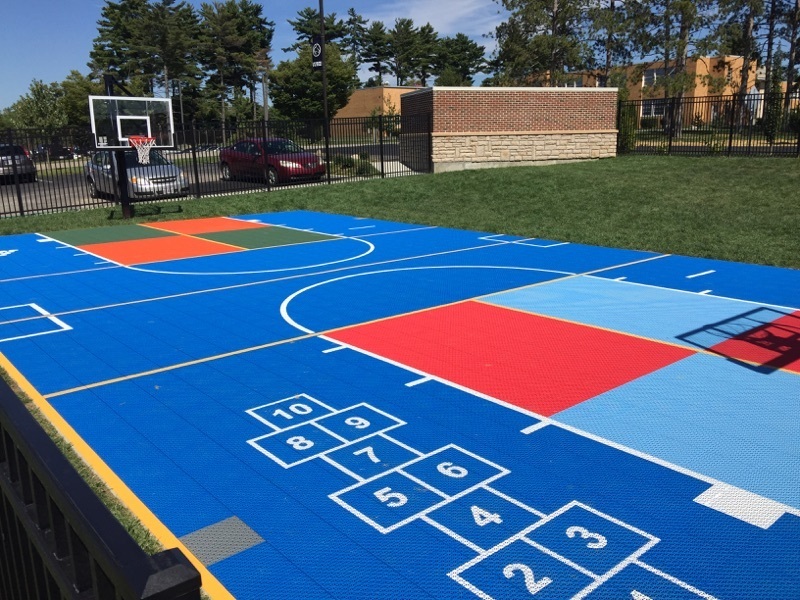 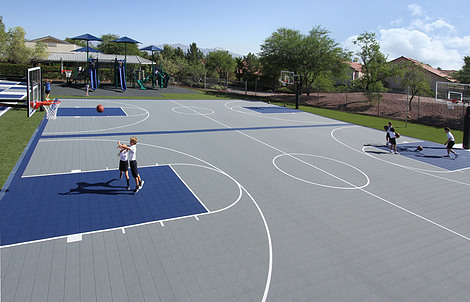 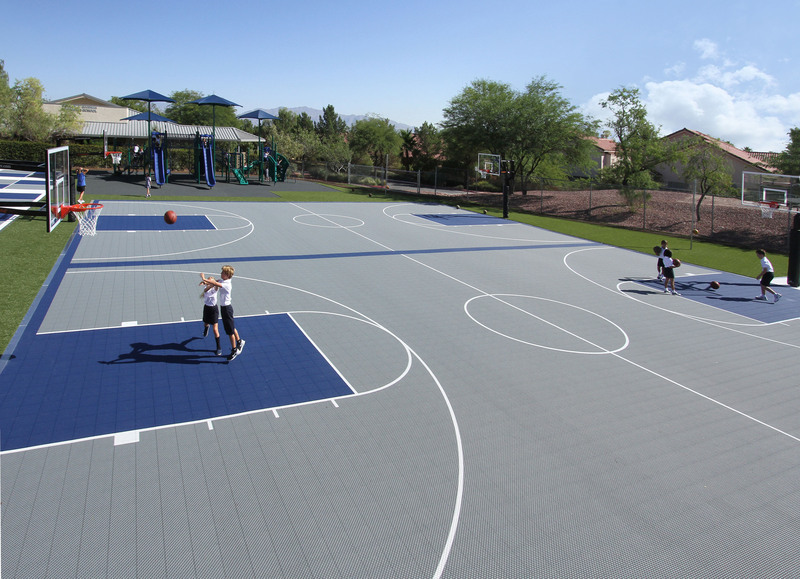 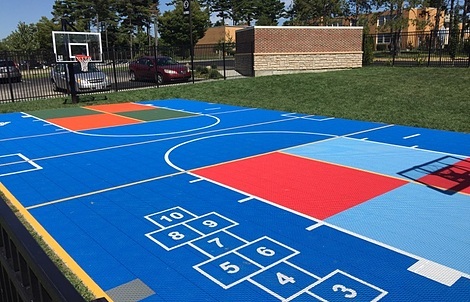 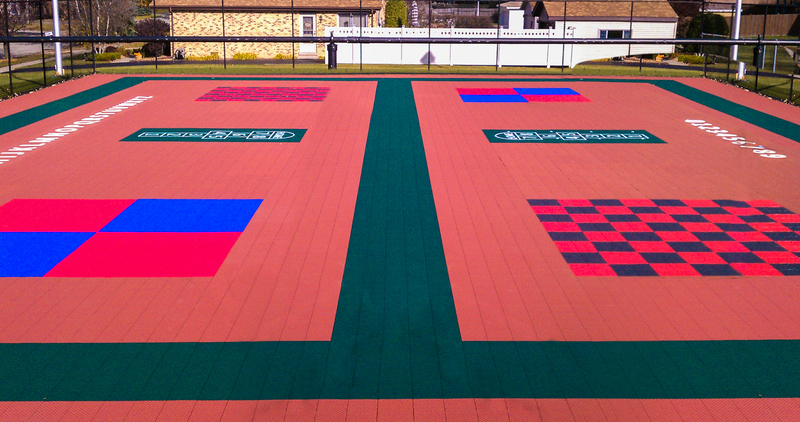 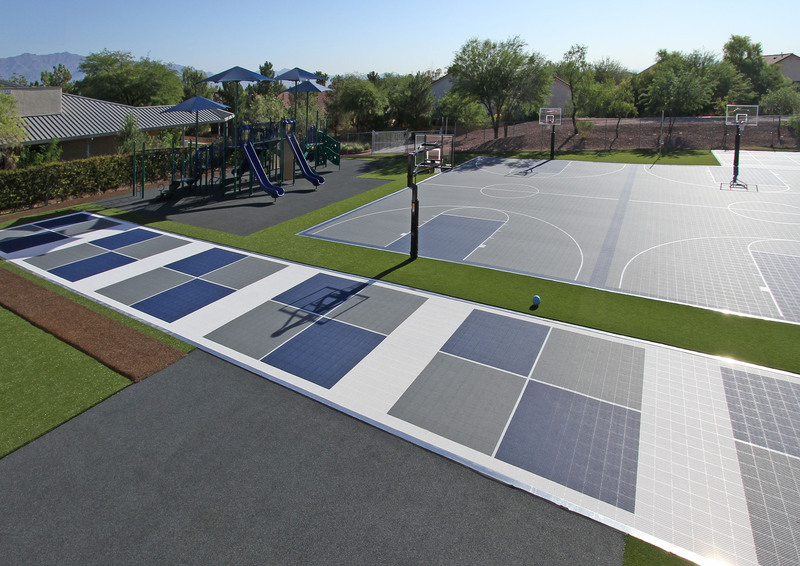 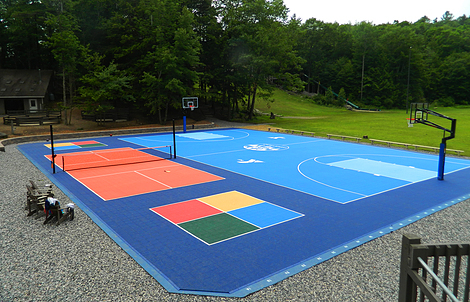 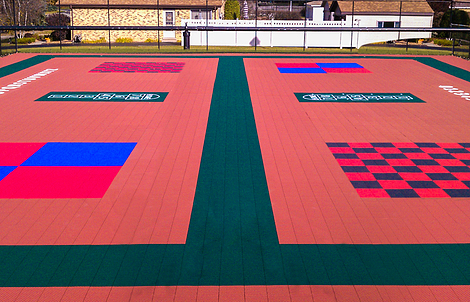 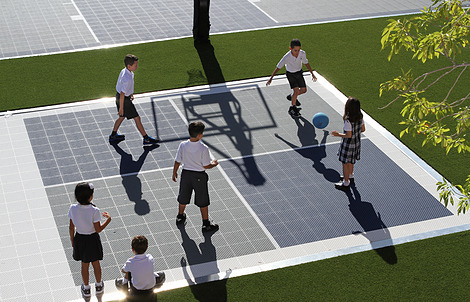 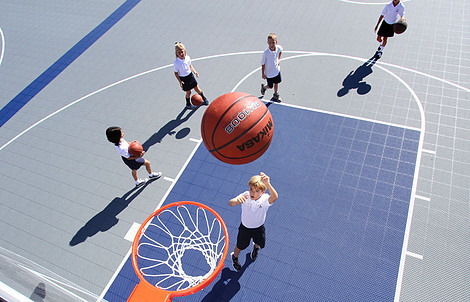 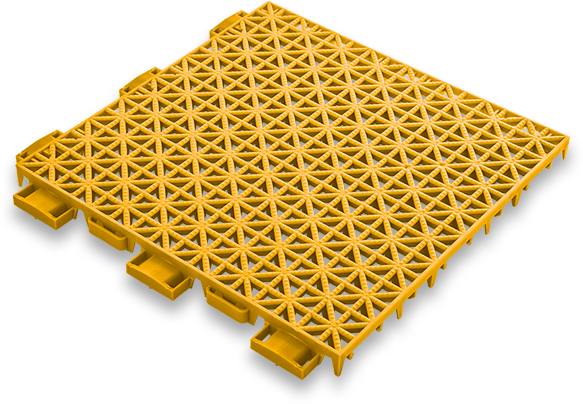 The fast-draining, open-grid surface of VersaCourt tile makes it an ideal choice for playground surfaces. 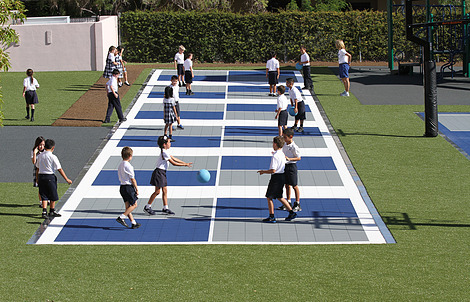 It is aesthetically pleasing, requires minimal maintenance and is both comfortable and safe for children to play on. 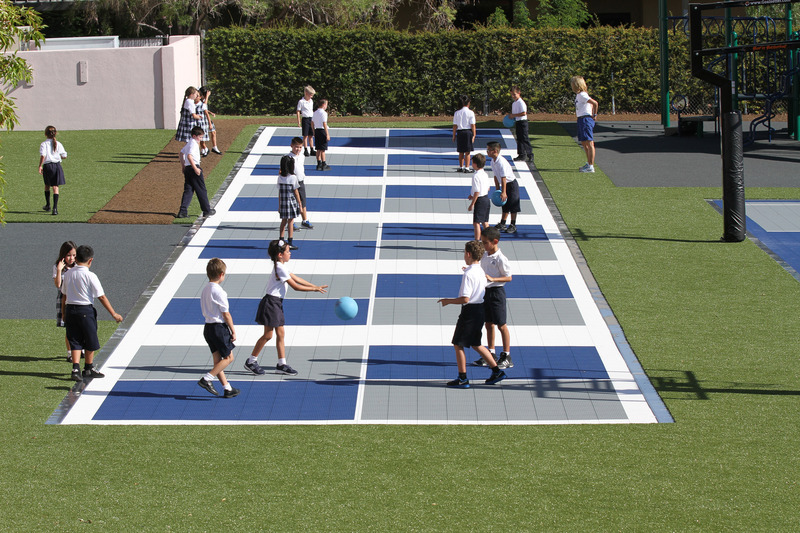 The colorful tile can be painted with lines for a wide variety of games including 4-Square, hop scotch, Awana, chess and shuffleboard. 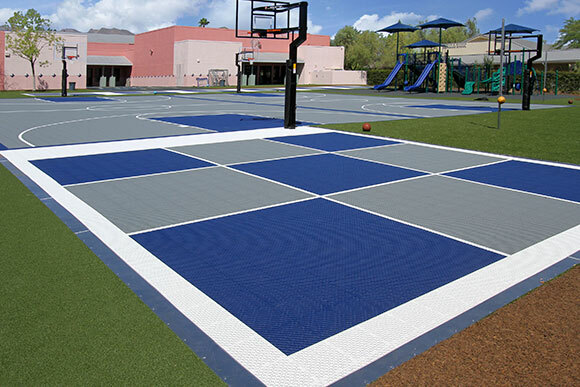 VersaCourt tiles are designed with shock absorbing qualities to provide a more forgiving surface than concrete or asphalt, and it stays up to 50% cooler during warmer school days. 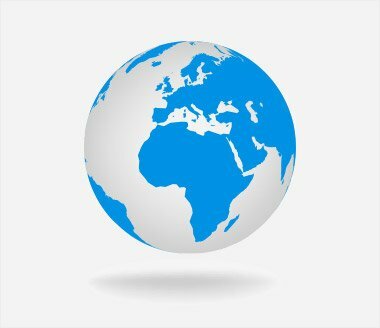 Our court design experts will work with you to develop a court solution that can accommodate a wide variety of sports and activities. 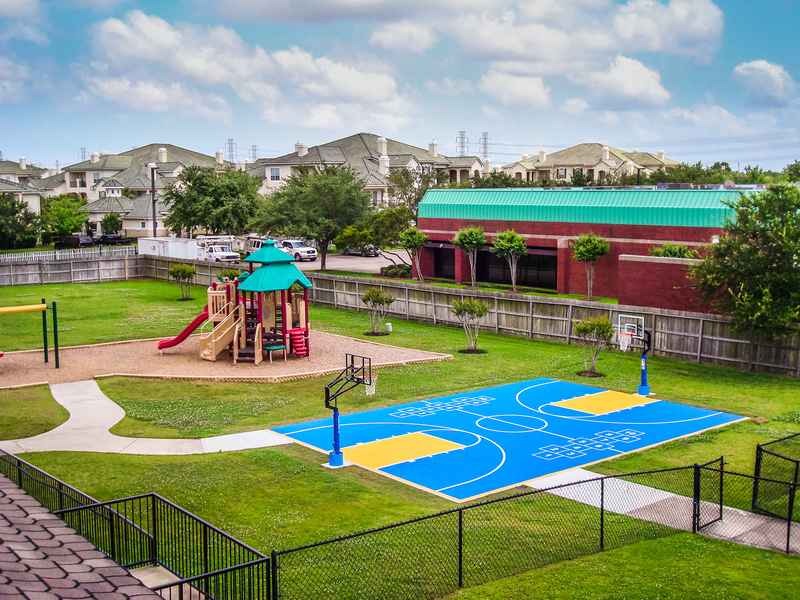 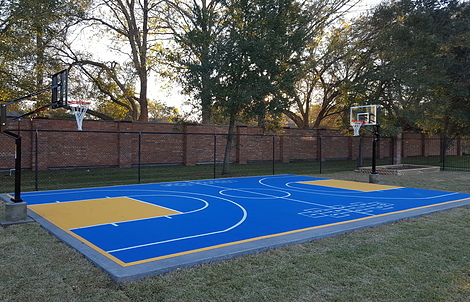 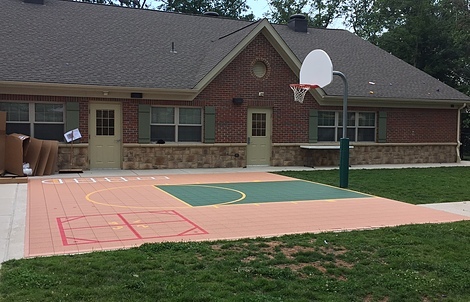 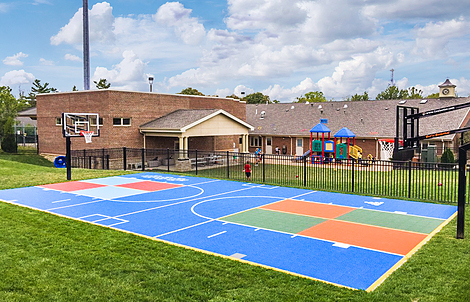 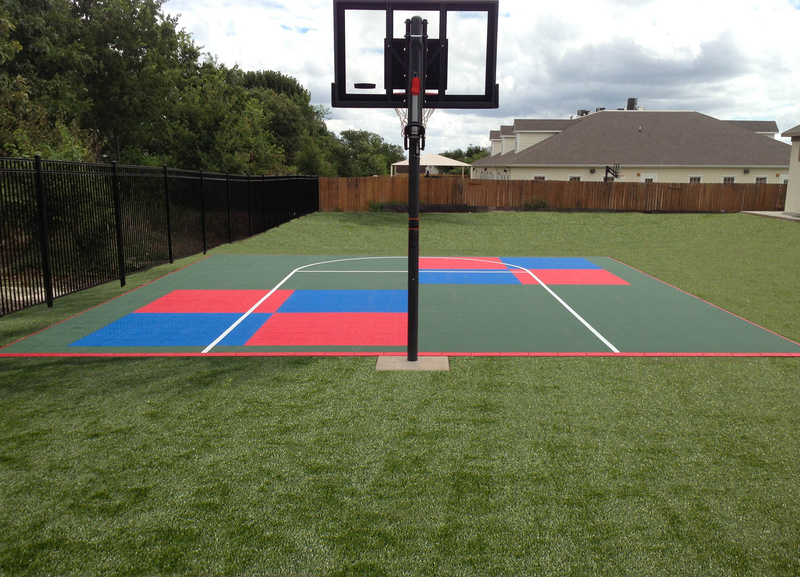 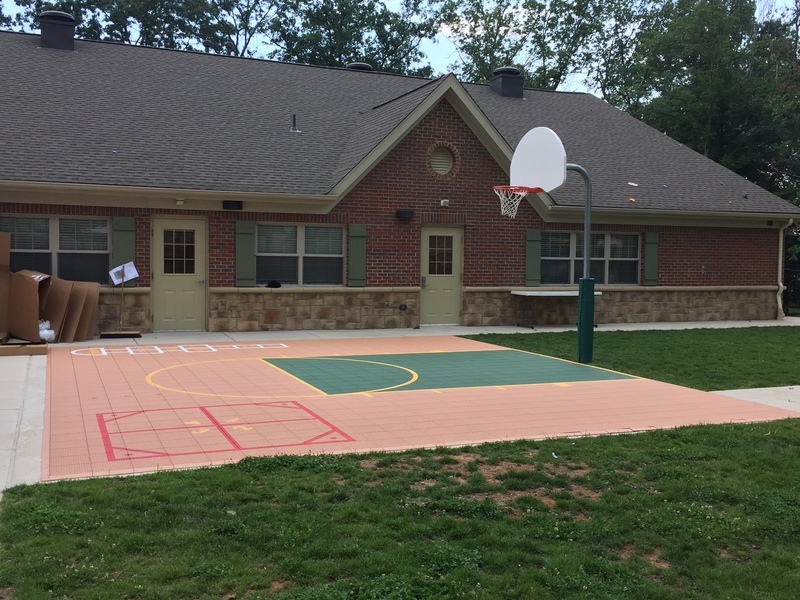 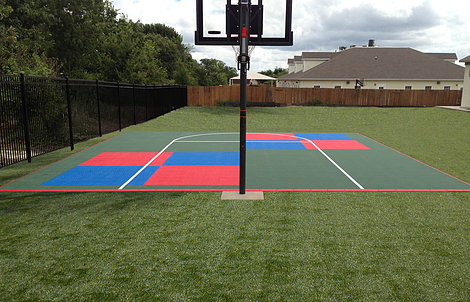 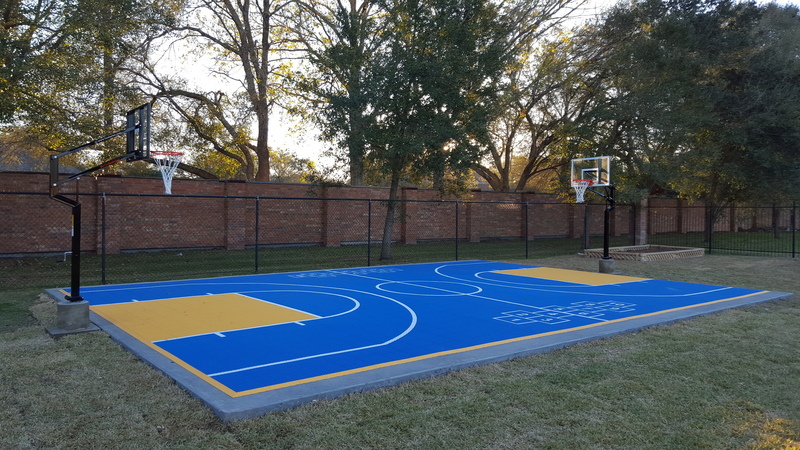 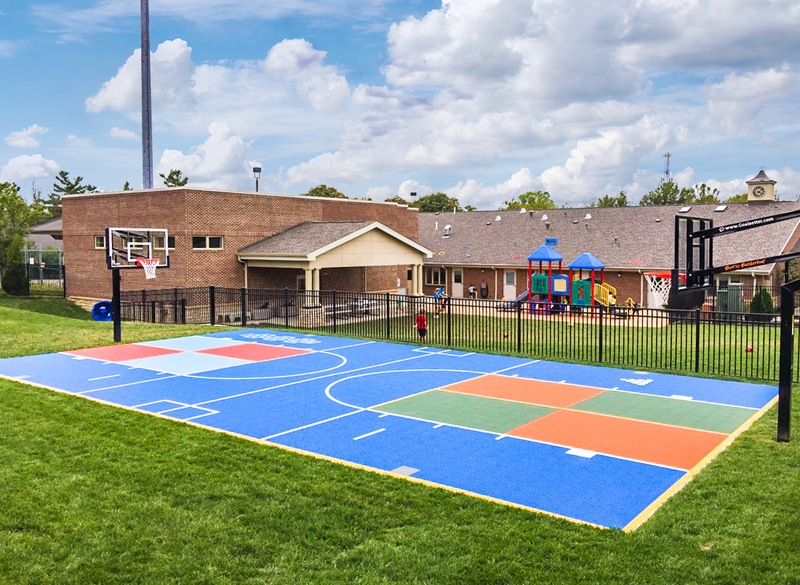 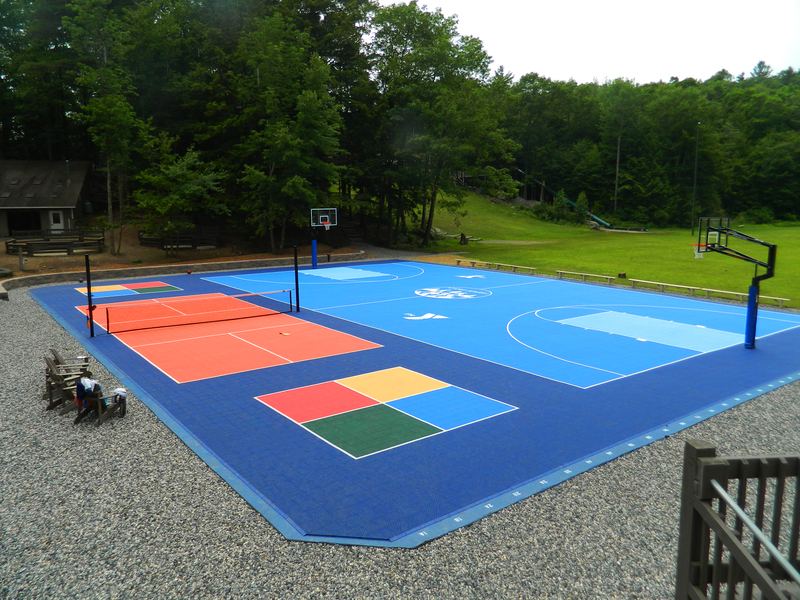 We also offer a selection of game court accessories, including basketball goals and net systems to allow you to host all of your activities effectively.